This quarter, I'll be joining the Campus Events Commission (CEC) as a new member of the Media Production staff. Campus Events Commission is a branch of UCLA’s undergraduate student government focused on bringing fresh entertainment and happenings to the Bruin Community. Our variety of events includes free film screenings, concerts and speakers. In the past, CEC has been responsible for obtaining speakers that range from Martin Luther King Jr. to Morgan Freeman and Michael Moore. More recently, emerging young leaders including Joseph Gordon-Levitt, Whitney Port and Kal Penn have spoke at our highly anticipated events. As part of the Media Production, I'll be collaborating with others to produce promotional video content as well as event coverage. Stay tuned to see what we have in store! 26th ANNUAL JAZZ REGGAE FESTIVAL IS HERE! At last, the 26th Annual JazzReggae Festival has arrived. This incredible event that features music, food and culture of Los Angeles has finally come. The event was extremely successful this year. It featured a diverse range of charismatic artists including: The Roots, Shaggy, Tarrus Riley, Booker T. Jones, Gary Clark Jr., Collie Buddz, Thundercat, Don Carlos, Alison Hinds, Kes the Band and Cris Cab. 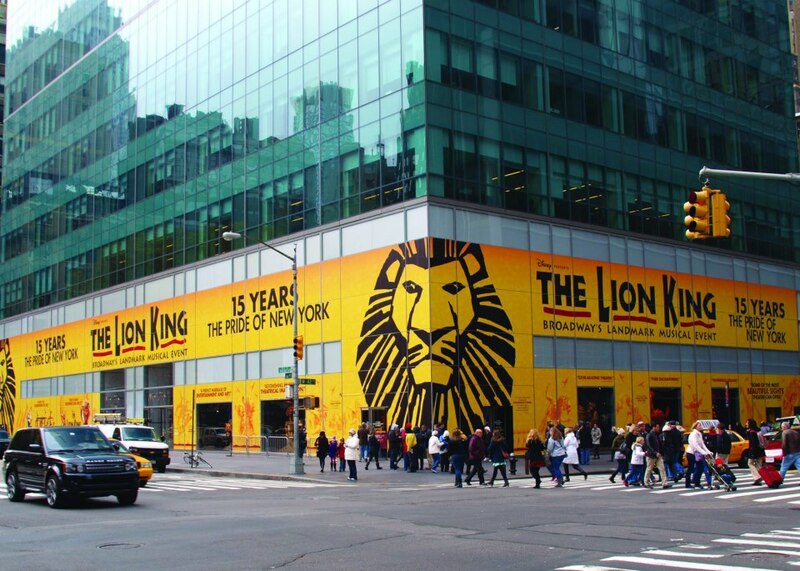 I am extremely proud to be the Art Director for this incredible event. Some of the art includes large scale interactive sculptures, live art as well as gallery art. As the graphic designer for the event, my designs can be wildly seen in both online and street marketing, including large publications such as the LA Weekly. Below are a few images from the event featuring sustainable sculptures, live art and great music - all made possible by a small group of UCLA students. The JazzReggae Festival is in fact the largest college-run festival nation-wide. This is a truly special event, and I am extremely proud to be able to be part of such an incredible festival and production. The 25th Annual UCLA Undergraduate Science Journal has been published! The UCLA Undergraduate Science Journal features incredible undergraduate research carried out by students. My re-design for the publication gives the science journal a fresh, sleek, new modern look. As the 25th edition, the publication has never looked better. Check out this article about the upcoming JazzReggae Festival! 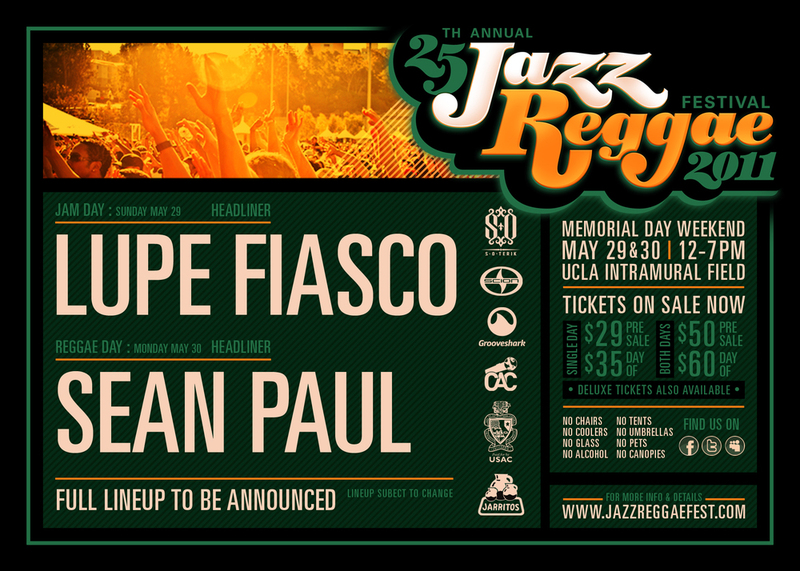 This year, I have been selected to be the Art Director for the 26th Annual JazzReggae Festival at UCLA. The JazzReggae Fest is one of the largest student run concerts nation-wide. The festival is also one of the most diverse of its kind by merging entertainment with education (focusing largely on sustainability and the environment). The event will be held Memorial Day weekend 2012 - a great way to kick off the Summer! For Summer of 2011 I have been working as a Summer Intern at Hong Kong Discovery - a Hong Kong based outdoor and environmental publication. As an intern I have collaborated with them to redesign their company profile, to produce a wide variety of web advertisements and banners and to produce information graphics for their bi-monthly periodical. The below image is an info-graphic I made for them which celebrates their 11th Anniversary Issue. I have been selected to be one of this years Dean's Scholarship Recipients in the Design Media Arts department at UCLA! The scholarship will go towards funding my tuition and my academic studies. I am really honored and grateful to be given this award. It is truly humbling to be given an award among such talented students, especially being the only freshman to receive this scholarship. I am really thankful that my work this year is being recognized. I wanted to thank and give a shout out to the UCLA DMA faculty! Thank you again. The award reception was held on the 18th of May in the EDA at the Broad Art Center @ UCLA. Scott Stoddard, game designer and creator of internet and phone phenomenon Robot Unicorn Attack, spoke to UCLA Design and Media Arts students about his journey and creative process to create such a successful game. Scott discussed the importance of flow and how game 'Canabalt' influenced and inspired his ideas to create Robot Unicorn Attack. The game has over 25 million plays and continues to be popular among a large target market and range of players. He taught a gaming workshop to UCLA Design Media Arts students. Check out the game Robot Unicorn Attack! Joseph Gordon-Levitt Speaks at UCLA to aspiring artists and media-artists on the 8th of November!